The faster you go, the more likely you are to crash. The faster you crash, the more likely you are to die. Where we don't link speed to a crash - for example, we may blame alcohol or the weather - the outcome depends on the speed the driver is traveling at. 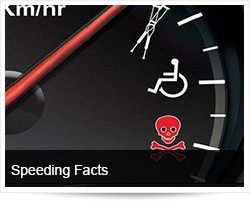 If you're driving at 120 km/h, you are twice as likely to die in a crash than if you are driving at 100 km/h. If you're driving at 130 km/h, you're three times as likely to die. Slower driving saves lives! International experience shows that as speeds reduce, the road toll goes down. Research in the United Kingdom found that a 1 km/h reduction in the average speed can produce up to a 3 percent reduction in injury crashes.  Rural roads: Research in Sweden demonstrated that there will be twice as many fatal crashes when the average speed on rural roads is 120 km/h, than when it is 100 km/h. 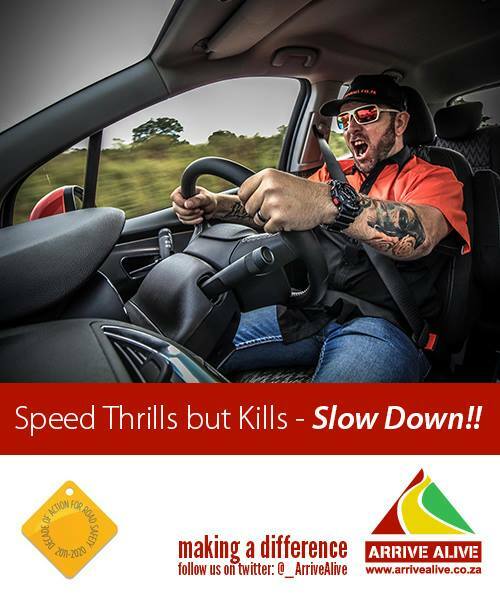 There are three times as many fatal crashes when the average speed is 130 km/h. Urban roads: Research into urban roads in Australia demonstrated that the risk of involvement in a casualty crash increases exponentially. With each 5 km/h increase in traveling speed above a 60 km/h speed limit, the risk of involvement in a casualty crash approximately doubles. In Australia, the speed limit on Melbourne's rural and outer freeway network was increased from 100 km/h to 110 km/h in 1987, and then changed back to 100 km/h in 1989. The injury crash rate was compared with a ‘control group' (an area where the speed limit remained the same). It was found that the injury crash rate per kilometer traveled increased by 24.6 percent following the change from 100 to 110 km/h, and decreased by 19.3 percent following the change back to 100 km/h. an 11% reduction in fatal and serious crashes at rural speed camera sites. International experience shows that speed cameras are a highly cost-effective speed management tool. This means that they save a lot of lives for the cost of putting them in place and operating them.